David Watson presented a one-day web seminar on church planting movements. Notes and links to this webinar are below. Many feel, as I do, that the movement toward simple/house churches has the potential of paving the way for the rapid multiplication of churches, by the hand of God, often referred to as church planting movements. 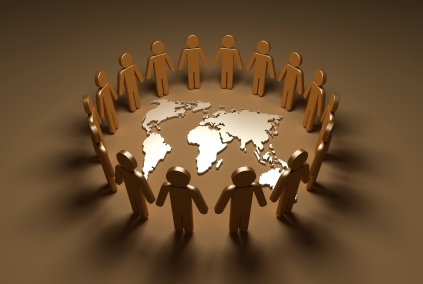 This wonderful move of God has been referred to as “the spontaneous expansion of the Church… It asks for no elaborate organization, no large finances, no great numbers of paid missionaries (Roland Allen).” Yet such a move has the potential of seeing regions and nations transformed. It can’t happen here. This is what they said in Vietnam until they saw it in Cambodia. It’s what they said in Cambodia before they saw it in China. It’s what they said in Central America before they saw it in Bogota. It’s what they said in Sudan before they saw it in Ethiopia. Perhaps it’s what they are saying where you live. “Focus on the few to reach the many,” and “Go slow to go fast.” David’s experience on the mission field caused his organization to question his methods because, in his first few years on the field, he was not producing the numerical growth of other missionaries. However, David was systematically reaching and discipling a handful of believers who then began to reproduce themselves. Several years later the result was thousands of churches and reproducing disciples. “Find the fight people to invest your life into.” David’s criterion in working with someone is whether or not they are going to invest in others. “Buildings kill church planting.” Though David is not negative on the overall usefulness of “brick and mortar” churches, he merely reflects on the reality that when God is moving in reproducing disciples among a people group, nothing will slow this process down like building-type churches rather than simple-organic ones. Who's In Your House Church? 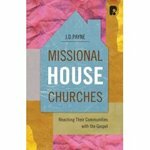 Payne identifies four types of people who are typically involved in house churches. I think looking at these categories of people can be very informative and provoke some excellent conversations about our own simple/house churches. Payne predicts that the number of anti-established church believers (those whose primary identity comes from this) will continue to grow. He questions whether this group will have any actual positive impact on the kingdom of God. My own long-term experience with these type of church communities (traditional and non-traditional) is that it can be very difficult for them to avoid taking on enabling roles and provide a too-comfortable place for hurting Christians to continue to hurt. Payne envisions these types of churches reaching new believers who follow the same pattern, paving the way for movements of reproducing Christians and house churches. These categories may not be so clear cut. Obviously hurting Christians can, even while walking through healing, have a wonderful missional impact on others. New-experience Christians can “grow up” and find a new level of mature living for Christ in the world. Nevertheless, I think it can be instructive to evaluate where our groups or gatherings are at and where we would like to see them.